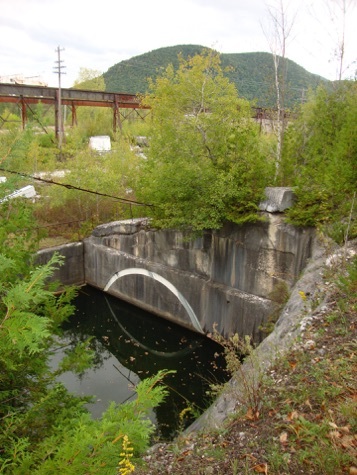 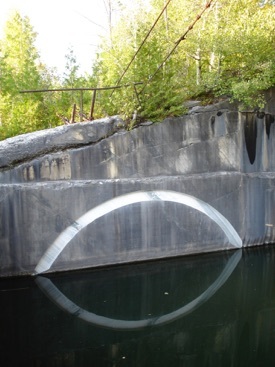 A 20 foot long arc is carved into the face of a historic abandoned quarry and reflects into the water. 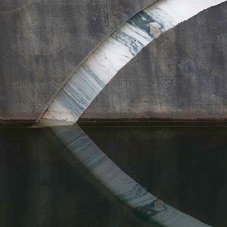 The reflected image, seen together with the physical image, reveals a complete mandorla. 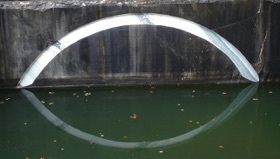 The mandorla is an ancient symbol of two circles that symbolize interacting but complimentary opposites overlapping one another to form an almond shape, or mandorla, in the middle. 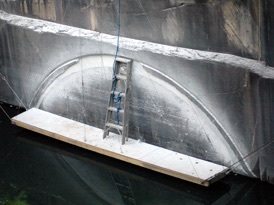 This artwork employs the mandorla to describe the interplay between matter and light, shadow and reflected light, process and production, art and nature.